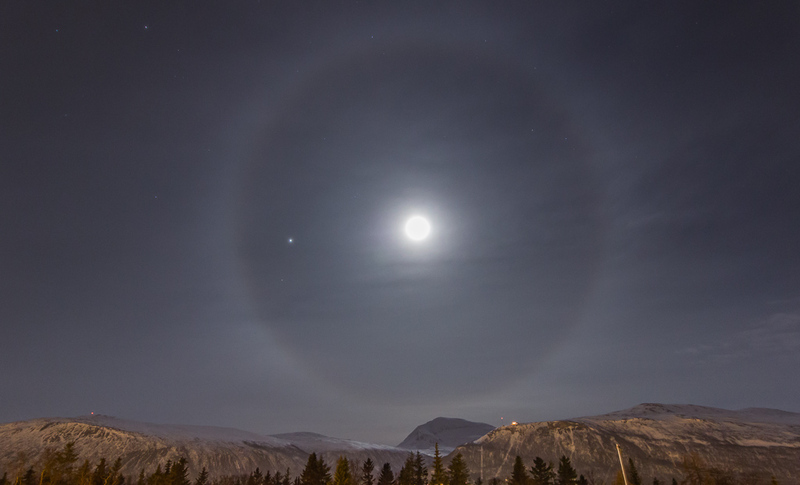 And for my meteorology friends: there was a beautiful halo around the moon tonight! This photo is taken from the roof at work, and from there I also have a view over the graveyard, filled with hundreds and hundreds of candles and Christmas decorations. I walked around there for a while before going home, it was magical. All real candles, and nicely smelling Christmas tree branches, a very special atmosphere.